John has a thriving criminal practice appearing in Crown Courts in London and the South East including the Old Bailey, and in the Court of Appeal, specialising in Fraud, White-collar Crime, Money Laundering, Cybercrime, Serious Violence, Weapons, and Drugs Cases. He also undertakes Asset Recovery cases including Confiscation, Restraint, and Cash Forfeiture work. John has particular expertise in case strategy and identifying less obvious but ultimately decisive points to achieve the best outcome no matter how unpromising the circumstances. As well as defending, John has been appointed to the CPS Specialist Panels Fraud Listat level 4and he is a Grade 3 prosecutor for the CPS and CPS Specialist Lists. John prosecutes for: CPS International Justice and Organised Crime Division, CPS Specialist Fraud Division, Serious Fraud Office, The Insolvency Service, HMRC, CPS Proceeds of Crime Unit, and Department for Work and Pensions. John also undertakes private instructions to represent companies, company directors, shareholders, and consortiums, whether defending or pursuing private prosecutions. John acts as both Leading Counsel and Junior Alone and has prosecuted at trial (alone) where the defendant is represented by Queen's Counsel. Whether prosecuting or defending, John brings a keen understanding of the world of corporate and white-collar defendants from his first career in business strategy consulting, and expertise in finance, accounting, IT, and Excel, which enable him to master complex financial and other evidence quickly. In addition to being a persuasive advocate, John is involved in an advisory capacity, for example advising on difficult areas of disclosure and sensitive material and at an early stage in complex fraud cases whether instructed by the prosecution or by the defence. R v A, Operation Subtlety – Cybercrime, blackmail of Apple and related Computer Misuse Act offences including demands to Apple for Bitcoin in exchange for not selling some 300 million iCloud accounts, and threats to factory reset the iCloud accounts, extract every phone number from them and dump them online. Southwark Crown Court: Prosecuting for CPS International Justice and Organised Crime Division. R v M – Historic White-collar Fraud allegation. Complex factually and legally, extensive disclosure and abuse of process issues. Aylesbury Crown Court: Privately instructed to Defend a Director accused of fraud. R v K – Money laundering, some £1/2 million concealed in packages. Woolwich Crown Court: Prosecuting for CPS International Justice and Organised Crime Division. R v W – Acting as Director while Disqualified. Isleworth Crown Court: Prosecuting for Criminal Enforcement Team, The Insolvency Service. Provident Personal Credit v H – Fraud and Theft. St Albans Crown Court: Instructed to prosecute in Private Prosecution. R v EE – Cybercrime, international US-UK investigation including local law enforcement and FBI liaison, after defendant targeted US pension organisation. Extensive contested expert evidence and legal argument on admissibility of US Virtual Private Network provider evidence after witness refused to attend UK trial. Reading Crown Court: Prosecuted trial to conviction and sentence. Provident Personal Credit v F – Fraud and Theft. Harrow Crown Court: Instructed in Private Prosecution, prosecuted to conviction. Re A. Historic fraud allegation. 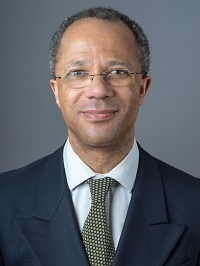 Privately instructed to advise on whether criminal offences were committed during history of civil litigation and commercial landlord-leaseholder disputes. Re X: Alleged Misconduct in a Public Office. Highly complex legally and factually, involving issues of legal professional privilege. Instructed by CPS Specialist Fraud Division to advise pre-charge on whether charges should be brought against a police officer. R v GE – Cybercrime, online supply of software which computer hackers can use to disguise viruses and other malware to avoid detection by antivirus software; Bitcoin use in money laundering. Blackfriars Crown Court: Instructed as Leading Counsel, prosecuted to conviction and sentence for CPS International Justice and Organised Crime Division. R v O & 3 Others – Fraud and money laundering involving four defendants in five conspiracies. Southwark Crown Court: Prosecuted to conviction and sentence. R v J – Enforcement stage of confiscation matter. Southwark Crown Court: Privately instructed to represent wife of defendant as Interested Party to establish and protect her interest in jointly held property. R v TJ – Gift Aid Tax Fraud. Complex banking and accounting evidence, forensic expert, and extensive digital material disclosure exercise. Luton Crown Court: Instructed as Leading Counsel, prosecuted trial to conviction and sentence for CPS Specialist Fraud Division. R v CW & Others – Money laundering associated with c. £1/2 million boiler room diamond and binary options fraud. Suspended sentence on Guilty plea. Basildon Crown Court: Defending. R v AJ – Fraudulent Evasion of Duty (Operation Squash). Snaresbrook Crown Court: Successfully defended, client was the only one of six accused of joint evasion of £100,000 duty not to be convicted. R v DO – Fraud and money laundering, recent and resurrected cases against defendant who absconded seven years earlier. Southwark Crown Court: Prosecuted to conviction. R v A – Fraud, historic offences under old and current legislation. Harrow Crown Court. Complimented by judge for ‘extremely well prepared case, extremely well presented in court’: Prosecuted trial to conviction and sentence for CPS Specialist Fraud Division. R v O & Another – Confiscation, fraud. Snaresbrook Crown Court. Contested hearing; achieved more than 70% reduction in client’s confiscation order: Defending. R v K – Misconduct in Public Office prosecuted to conviction and sentence. Harrow Crown Court and in the Court of Appeal regarding the proper approach to sentencing where illegitimately accessed confidential information is disseminated for personal motives: Prosecuting for CPS Specialist Fraud Division/HMRC. R v A & H – Fraud and money laundering. Complex and extensive sensitive and non-sensitive disclosure issues. Southwark Crown Court: Prosecuted (with leader). R v D – Money laundering prosecuted to conviction and sentence. Canterbury Crown Court: Prosecuting for CPS Specialist Fraud Division/HMRC. R v M & Others – Cheating the Revenue alleged £5-6 million VAT on smuggled cigarettes. Chelmsford Crown Court: Successfully defended. Re B– Cash forfeiture £126,000 initially seized as alleged to represent proceeds of Hatton Garden Safety Deposit burglary. Complex advisory and written submissions. Trusts, tax, and accountant issues. Successfully defended: All £126,000 cash returned to client. R v O & Another – Tax fraud and money laundering. Complex computer, banking and international evidence. First on indictment. Snaresbrook Crown Court: Defending. R v P – Fraud by abuse of position. Complex accounts analysis, accountant. Judge praised ‘meticulous preparation’. Isleworth Crown Court: Prosecution. R v R – Confiscation s23 application during enforcement. Westminster Magistrates’ /Blackfriars Crown Court: Defending: Agreed inadequacy and discharge of order. R v T – Proceeds of Crime application. Tainted gift. Southwark Crown Court: Prosecuting for the CPS Proceeds of Crime Unit: Successfully resisted s23 application by defendant to vary the available amount. R v O – Tax Credit and Benefit fraud £400,000+ using false IDs. Handwriting and fingerprint expert evidence: Wood Green Crown Court: Prosecuted for Specialist Fraud Division/DWP through trial to conviction and sentence. R v M – Cash Forfeiture application (Operation Solway), City of London Corporation: Represented applicant City of London: agreed forfeiture of £230,000 plus order for applicant’s costs. R v L – Confiscation. Croydon Crown Court: Defending: Achieved 58% reduction in benefit figure for client. R v T & S – Large-scale corporate expenses fraud: Central Criminal Court: Prosecuted to conviction and sentence. R v Q & Others – Seven-handed insurance sector conspiracy to defraud and money laundering. Central Criminal Court: Prosecuted (with leader): several Guilty pleas, trial of two defendants. R v T– Bank fraud. Expert telephone evidence, Section 98/non-conviction bad character arguments: Central Criminal Court: Prosecuting. R v C – Money laundering cross-jurisdiction involving expert evidence on Hawala transfer: Central Criminal Court: Prosecuted alone, defendant represented by QC and Junior. R v M – Fraudulent evasion of duty, 1.2 million cigarettes. CPS Specialist Fraud Division: Maidstone Crown Court: Prosecuted to conviction and sentence. R v K – Tax and General Fraud: Defence Counsel for Manager of Solicitors’ firm facing £6m tax fraud allegation: Isleworth Crown Court: Legal argument on jurisdiction led to Crown dropping general fraud charge and client’s release from custody. R v G – Cheating the Public Revenue: Defence Counsel representing Managing Director in 7-week trial of alleged c.£¼ million VAT fraud involving 4 firms’ inter-company transactions; disclosure, PII and forensic accounting issues; legal arguments excluding previous civil penalty and email evidence; persuasive presentation of a complex defence case: Canterbury Crown Court: Successfully defended. R v RG – Defence Counsel, c.£2 million confiscation proceedings. Instructions of forensic accountants. Overseas assets, equitable charges, planning, and restraint order issues: Wood Green Crown Court: Complex negotiation achieved 80% reduction in client's confiscation order. R v M – Mortgage Fraud: Defence Counsel in c.£400K mortgage fraud: Court of Appeal: arguments re unfair trial and wrongful admittance of hearsay evidence. R v A– Article for Use in Fraud (Operation Scarp): Client allegedly involved in £3 million “Crash for cash” fraud. Legal arguments excluded extensive telephone evidence: Southwark Crown Court: Successfully defended, client was the only one of the suspects not convicted. R v M – Possession with intent to supply cocaine and heroin. Sensitive disclosure and PII issues. Blackfriars Crown Court: Prosecuted to conviction and sentence for CPS International Justice and Organised Crime Division. R v H – Armed robbery, firearms offences. Defendant’s face on CCTV entirely obscured. Expert CCTV analysis. Commended by judge as ‘a model trial’. Prosecuted to conviction at trial and sentence: Wolverhampton Crown Court. R v S – Possession with intent to supply cocaine. Expert subjective DNA evaluation where statistical analysis not possible. Prosecuted to conviction at trial and sentence. Seven-and-a-half-year sentence: Oxford Crown Court. R v I – Defence Counsel in 9-day Section 18 wounding with intent trial: part of victim's forehead sliced off with meat cleaver; evidence said to be overwhelming. Snaresbrook Crown Court: Successfully defended. R v AB – Prosecuted to conviction at trial and sentence in Section 18 GBH with Intent of man who bit off part of victim’s ear. Six-year sentence: Blackfriars Crown Court. R v L & Others – Defence Counsel in five-handed Conspiracy to Supply Class A drugs (20-25kg cocaine): Four-week trial involved covert surveillance, cell-site analysis, ANPR evidence: Croydon Crown Court. R v AB – Prosecuted to conviction and sentence in Section 18 GBH with Intent by sustained attack with golf club to skull and body: Blackfriars Crown Court. R v B – Defence Counsel in Car Ringing and Conspiracy to Burgle high-value motor vehicles: Overwhelming evidence. Psychiatric issues: Snaresbrook Crown Court and Maidstone Crown Court: Persuaded Crown to offer no evidence on both matters. R v CD – Possession with Intent to Supply: Man seen by police fleeing his van filled with cannabis: Basildon Crown Court: Successfully defended. R v C – Section 18, Wounding with Intent: Client on 999 tape said he stabbed and wanted to kill the complainant: psychiatric expert and self-defence issues; cross-examination of colluding witnesses: Woolwich Crown Court: Successfully defended. John Ojakovoh is a member of Chambers’ Tenancy and Pupillage Committee and a Pupil Supervisor. Before qualifying as a barrister John had a successful first career in business and finance as a strategy consultant working on strategic reviews, mergers and acquisitions, restructurings and other projects, with Banking, Insurance, Private Equity, Government, Telecommunications, and Consumer Goods and Services clients in the UK, Europe, the US and Australia. He thus has hands-on experience of managing large, complex projects, leading and carrying out financial analysis and presenting complex material simply and persuasively to engage board members, investors, and staff at all levels. Criminal Bar Association; INSEAD Alumni Association. Piano (Performer’s Diploma), violin, walking, literature and family. 9 KBW is delighted to announce success by four members in their applications to join the Regulatory Panel, Level C, for Health and Safety and Environmental Law. It is with enormous pleasure that we announce that Counsel Ben Edwards, Sophie Quinton-Carter, Claire Stevenson and Charles Drinnan have been successful in their applications to join the Regulatory Panel for Health and Safety and Environmental Law. Sophie Kay explores the landmark appeal by Sally Challen of her murder conviction in a two-part series of articles. The provider appealed after their registration to provide childcare at two nursery settings was cancelled. The appellant had a poor inspection history. Over eight years, there had been a number of inspections, resulting in numerous breaches of the Early Years Foundation Stage, and notices being issued, which were not complied with. Concerns were raised following an inspection which obtained an “Inadequate” judgment. Despite numerous visits, phone calls and letters, the Early Year Regulatory Inspector was unable to establish contact with the defendant and conduct monitoring visits.